Add a taste of sharp cheddar to moist and tender breakfast meats for a little taste of heaven! We gave it as gifts. 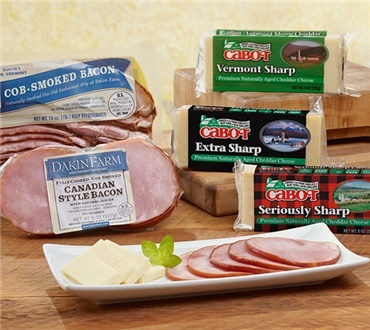 We are from Vermont and know that the best Cheese is cabet and the best maple syrup is Vermont.